Which players might get their contracts revisited or released? 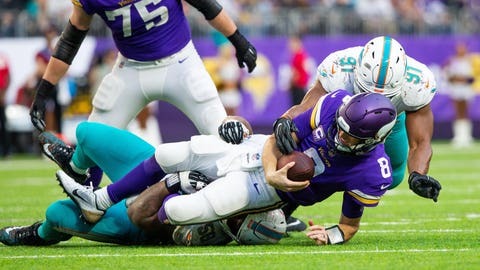 Offensive guard Mike Remmers was the first domino to fall, as Minnesota released him Monday afternoon with three years remaining on the five-year, $30 million deal he signed in 2017. Who’s next? Tight end Kyle Rudolph is entering the final season of his contract and owns a $7.6 million cap hit in 2019. As one of the leaders in the locker room and a steady presence at tight end (he hasn’t missed a game since 2014), it’d be shocking to see Rudolph get cut. But the Vikings might want to restructure his deal to save a bit of cash and spend that cap space elsewhere. Defensive end Everson Griffen, though, might not be back. He’s under contract through 2022 and has an $11.7 million cap hit this season. 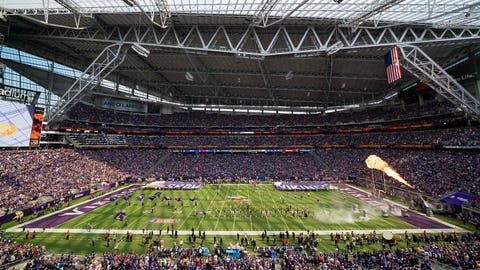 Although Griffen’s mental health is much more important than production on the field, the NFL is a business, and the Vikings need to decide if he can play up to a level deserving of that big of a salary. How can the offensive line improve? If there’s one question that will define the 2019 season, this is it. Spielman’s No. 1 task in the offseason is to protect his $84 million investment in quarterback Kirk Cousins. Last year’s line was the weakest link on the team – and it wasn’t close. The move cutting Remmers confirms the Vikings are set on hitting the refresh button. Minnesota is regrouping with Rick Dennison now serving as the new offensive line coach and the run game coordinator, taking over a rushing attack that ranked 30th in 2018. The return of Nick Easton, who started 12 games in 2017 but missed the entire 2018 season, will help depth, but it’s not enough. The Vikings can’t make a big splash in free agency, as their cap space currently sits at just over $10 million, which is one of the lower totals in the NFL. But expect Minnesota to address the need in April’s draft, especially with the 18th overall pick. Will Rick Spielman make any big trades? It wasn’t too long ago when blockbuster trades in the NFL were something that only happened in Madden video games. That’s not the case anymore. In just the last year alone, big names like Aquib Talib, Marcus Peters, Amari Cooper, Khalil Mack and Demaryius Thomas have been traded around. So do the Vikings have any trade bait? With Xavier Rhodes, Trae Waynes, Mike Hughes and the emergence of Mackensie Alexander, Minnesota has more than enough depth at cornerback. And they could help improve the offensive line by giving up some of that depth. Rhodes, a 2017 All-Pro selection, is expensive with four years left on the five-year, $70 million deal he signed in 2017, and still has great value. 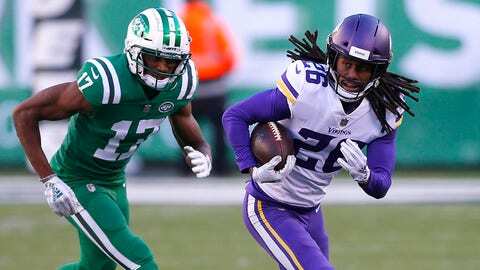 The Vikings also might want to get something in return for Waynes, who is entering the final year of his rookie deal and will likely be too expensive for the Vikings to sign next offseason. It’s just speculation, but it’s one way Spielman could free up some money while improving his turnstile offensive line. Who will serve as Cousins’ backup quarterback? Last year, Minnesota traded a fifth-round pick to Denver in exchange for a seventh-rounder and quarterback Trevor Siemian, who backed up Cousins all season but didn’t play a single snap. Siemian will be a free agent March 13. 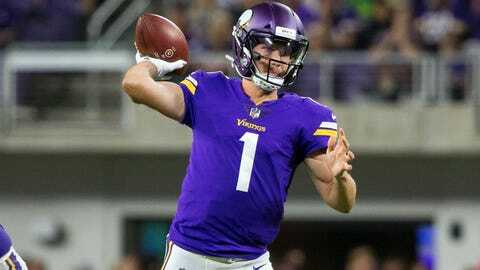 Do the Vikings trust Kyle Sloter to step up as the backup? Sloter has been on the Vikings’ practice squad since 2017 and has done nothing but impress in the preseason, recording 779 passing yards, seven touchdowns and zero interceptions in eight exhibition contests. Sure, preseason stats are mostly meaningless, but it shows he can compete at this level. But if it’s not Sloter, then who? There’s not much in free agency. Nick Foles (Jacksonville) and Teddy Bridgewater (New Orleans) have already found homes and were out of Minnesota’s price range anyway. That leaves Minnesota with veterans like Ryan Fitzpatrick, Brock Osweiler and Josh McCown (if he decides to play) left in the free-agent market. Not ideal. The Vikings’ best bet might be to trust Sloter and add a third quarterback in the draft. It’s also worth noting that Denver is reportedly trading Case Keenum to Washington, so a return to Minneapolis for the miracle man won’t happen. How will the Vikings replace Barr and Richardson? Last season, Minnesota’s defense ranked fourth overall in yards allowed and ninth in points allowed (21.3 per game). 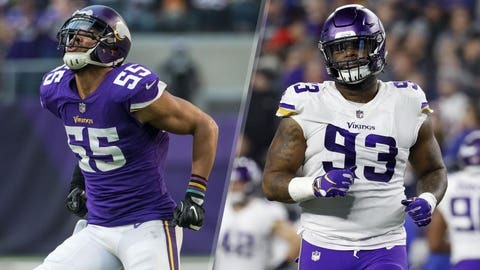 But two 2018 starters weren’t franchise tagged last week and will reportedly be playing for different teams next season -- Barr (New York Jets) and defensive tackle Richardson (Cleveland). To replace Richardson, the front office reportedly signed Shamar Stephen to a three-year deal, bringing back a DT that played under head coach Mike Zimmer from 2014-17. But Minnesota will have to fill a big void without Barr at linebacker. Eric Wilson is the natural fit to take Barr’s spot, as he filled in at the position when Barr missed three games with a hamstring injury last season. But will those players be enough to take over two key positions in Zimmer’s defense? 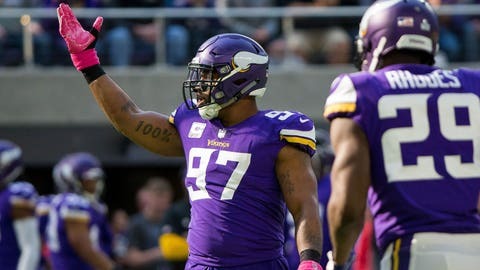 UPDATE: After agreeing to a contract with the Jets, Barr flipped his decision and will reportedly re-sign with the Vikings. No need to replace him after all.